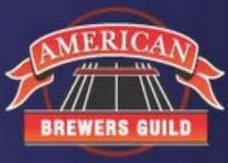 In co-sponsorship with the American Brewers Guild, the Glen Hay Falconer Foundation is offering a full-tuition scholarship to the Intensive Brewing Science & Engineering course that begins on January 24, 2011 and runs through July 1, 2011. The website lists the class as full. This is an additional place in the class reserved for the scholarship. The Intensive Brewing Science & Engineering (“IBS&E”) course is a 22-week distance education program with a final week of residential instruction in Sacramento, California. The IBS&E course is specifically designed for professional and aspiring craft brewers seeking formal training in brewing science. The program provides a comprehensive learning experience that focuses on the technical, scientific, and operational matters and issues that brewers face in a craft brewing environment. The scholarship is open to professional brewers and homebrewers from the states of Washington, Oregon, Alaska, Hawaii, and California’s northern geographic region (San Francisco Bay/Monterey Bay areas and north). The scholarship includes a $500 stipend to help offset travel and lodging expenses for the final onsite week in Sacramento, California.